I found this awesome idea here. 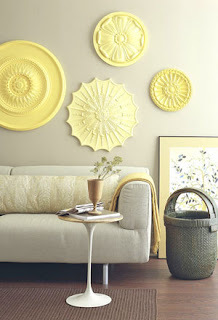 I never thought ceiling rosettes could be used as wall art. They're really pretty. I like it! so cute. a couple of weeks ago i saw a random assortment of old painted frames as wall art. i loved it.